A couple of weeks ago I posted a method to convert trace files from the SQL Server 2012 format to the SQL Server 2008 format. The trick works quite well and the trace file can be opened with Profiler or with ReadTrace from RML Utilities. What doesn’t seem to work just as well is the trace replay with Ostress (another great tool bundled in the RML Utilities). For some reason, OStress refuses to replay the whole trace file and starts throwing lots of errors. Some errors are due to the workload I was replaying (it contains CREATE TABLE statements and that can obviuosly work just the first time it is issued), but some others seem to be due to parsing errors, probably because of differences in the trace format between version 11 and 10. 0x0000042C: 6C000D00 0A005700 48004500 52004500 l.....W.H.E.R.E. 0x0000043C: 20005500 6E006900 74005000 72006900  .U.n.i.t.P.r.i. 0x0000044C: 63006500 20002600 6C007400 3B002000 c.e. .&.l.t.;. . 0x0000045C: 24003500 2E003000 30000D00 0A004F00 $.5...0.0.....O. 0x0000046C: 52004400 45005200 20004200 59002000 R.D.E.R. .B.Y. .
0x0000047C: 50007200 6F006400 75006300 74004900 P.r.o.d.u.c.t.I. 0x0000048C: 44002C00 20004C00 69006E00 65005400 D.,. .L.i.n.e.T. 11/20/12 12:30:39.010 [0x00001040] File C:\RML\SQL00063.rml: Parser Error: [Error: 110010][State: 100][Abs Char: 1068][Seq: 0] SYNTAX ERROR: Parser is unable to safely recover. Correct the errors and try again. The error suggests that the two formats are indeed more different than I supposed, thus making the replay with Ostress a bit unrealiable. Sure there are! Profiler is another tool that allows replaying the workload, even if some limitations apply. For instance, Profiler cannot be scripted, which is a huge limitation if you are using Ostress in benchmarking script and want to replace it with something else. That “something else” could actually be the Distributed Replay feature introduced in SQL Server 2012. Basically, Distributed Replay does the same things that Ostress does and even more, with the nice addition of the possibility to start the replay on multiple machines, thus simulating a workload that resembles more the one found in production. An introduction to Distributed Replay can be found on Jonathan Kehayias’ blog and I will refrain from going into deep details here: those posts are outstanding and there’s very little I could add to that. The first step for the installation is adding a new user for the distributed replay services. You could actually use separate accounts for the Controller and Client services, but for a quick demo a single user is enough. In the next steps of the setup you will also be asked the service accounts to use for the services and on the Replay Client page you will have to enter the controller name and the working directories. After starting the services (first the Controller, then the Client), you can go to the log directories and check in the log files if everything is working. Just to prove one more time that “if something can wrong, it will”, the client log will probably contain an obnoxious error message. 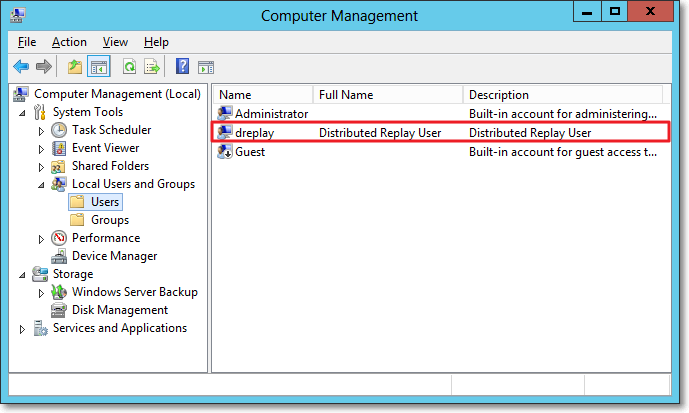 Setting up the distributed replay services can get tricky because of some permissions needed to let the client connect to the controller. Unsurprisingly, the client/controller communication is provided by DCOM, which must be configured correctly. 2012-11-03 00:43:04:062 CRITICAL     [Client Service]      [0xC8100005 (6)] Failed to connect controller with error code 0x80070005. Right click DReplayController and choose “properties” from the context menu. 2012-11-20 14:01:10:783 OPERATIONAL  [Client Service]      Registered with controller "WIN2012_SQL2012". Once the services are successfully started, we can now start using the Distributed Replay feature. The trace file has to meet the same requirements for replay found in Profiler, thus making the “Replay” trace template suitable for the job. But there’s one more step needed before we can replay the trace file, which cannot be replayed directly. In fact, distributed replay needs to work on a trace stub, obtained preprocessing the original trace file. "C:\Program Files (x86)\Microsoft SQL Server\110\Tools\Binn\dreplay.exe" preprocess -i "C:\SomePath\replay_trace.trc" -d "C:\SomePath\preprocessDir"
"C:\Program Files (x86)\Microsoft SQL Server\110\Tools\Binn\dreplay.exe" replay -s "targetServerName" -d "C:\SomePath\preprocessDir" -w "list,of,allowed,client,names"
The Distributed Replay Controller can act as a replacement for Ostress, except for the ability to replay SQL and RML files. Will we be using RML Utilities again in the future? Maybe: it depends on what Microsoft decides to do with this tool. It’s not unlikely that the Distributed Replay feature will replace the RML Utilities entirely. 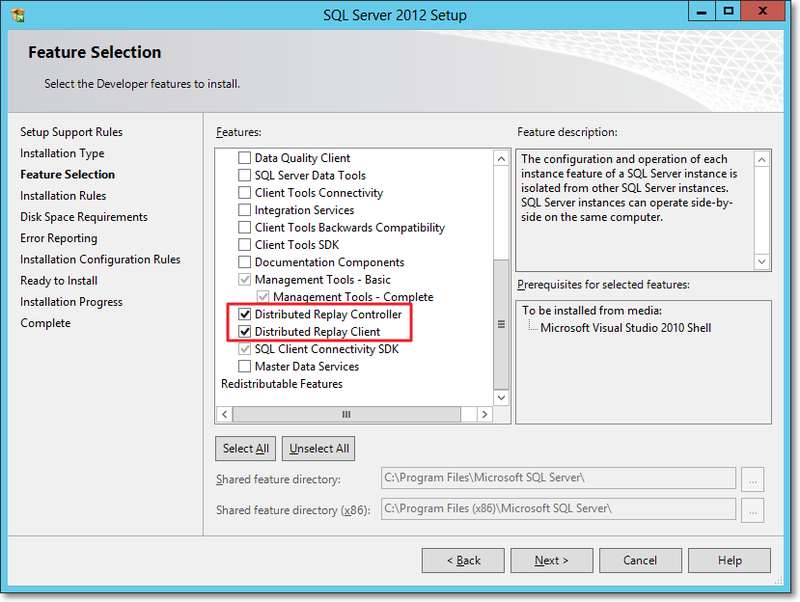 The tracing feature itself has an unceartain future ahead, with the deprecation in SQL Server 2012. Probably this new feature will disappear in the next versions of SQLServer, or it will be ported to the Extended Events instrastructure, who knows? 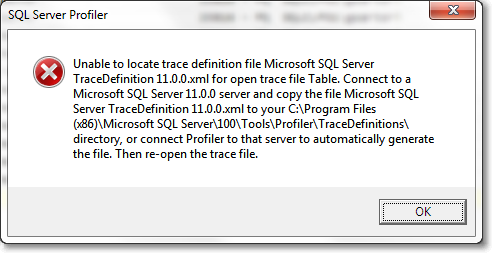 Yesterday I posted a method to convert trace files from SQL Server 2012 to SQL Server 2008R2 using a trace table. No worries: PowerShell to the rescue! 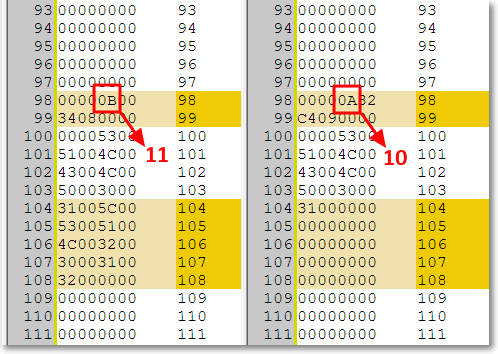 This script overwrites the version byte in the trace file, which lies at offset 390, changing it from 11 to 10. This way, even a huge 100 GB trace file can be converted in milliseconds, ready to be consumed by ReadTrace or Profiler. P.S. : I haven’t tried, but I guess it could work with previous versions. However, tracing is deprecated in SQL Server 2012 and I guess it doesn’t introduce many differences from the SQL Server 2008 trace file format. The same cannot be said for SQL Server 2005 and I suppose that the file wouldn’t open anyway in Profiler. Unfortunately, I don’t have a SQL Server 2005 around to test.